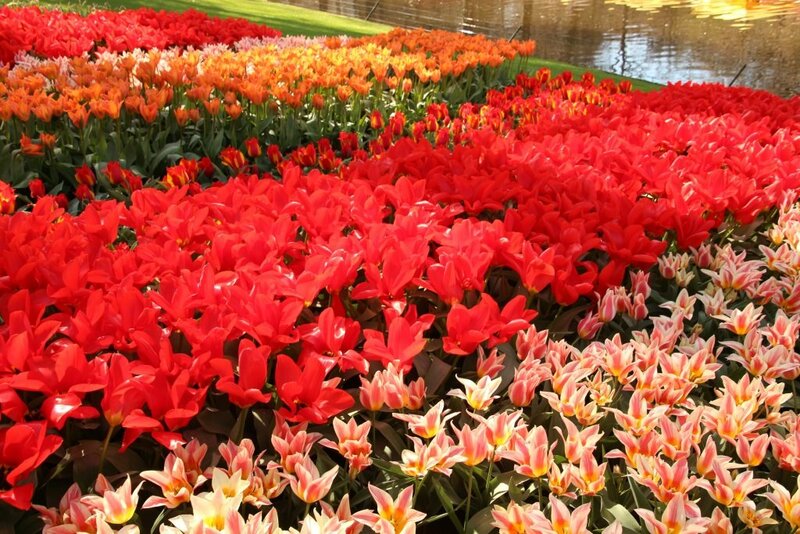 One of the most famous attraction of The Netherlands are of course Tulips. 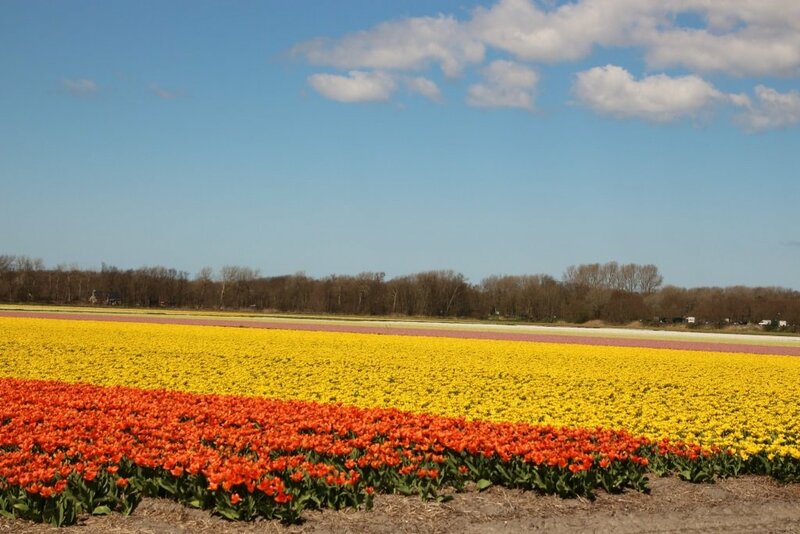 Tulips are growing in the province Noord-Holland, Zuid-Holland and Flevopolder. 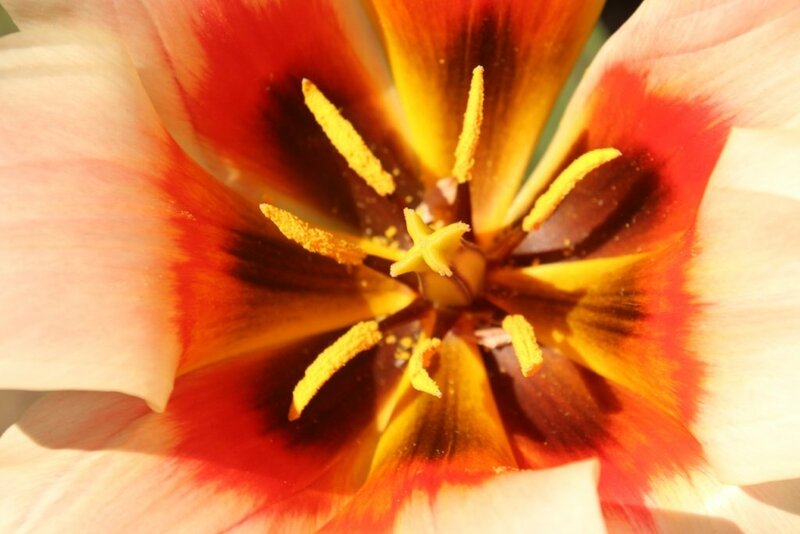 One tulip flower is coming from one bulb. Bulbs are planted before the winter is started. The flower can only bloom when it has cold nights. 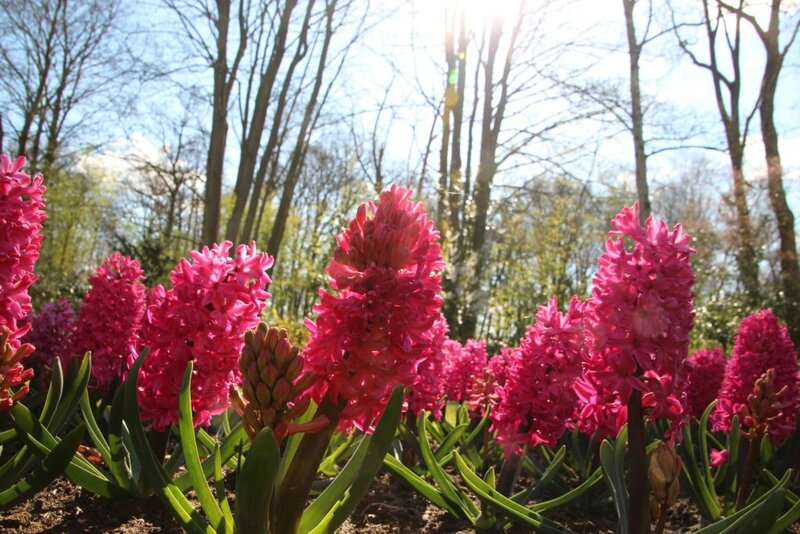 That's why we have loads of those flowers; Our climate is perfect for it! 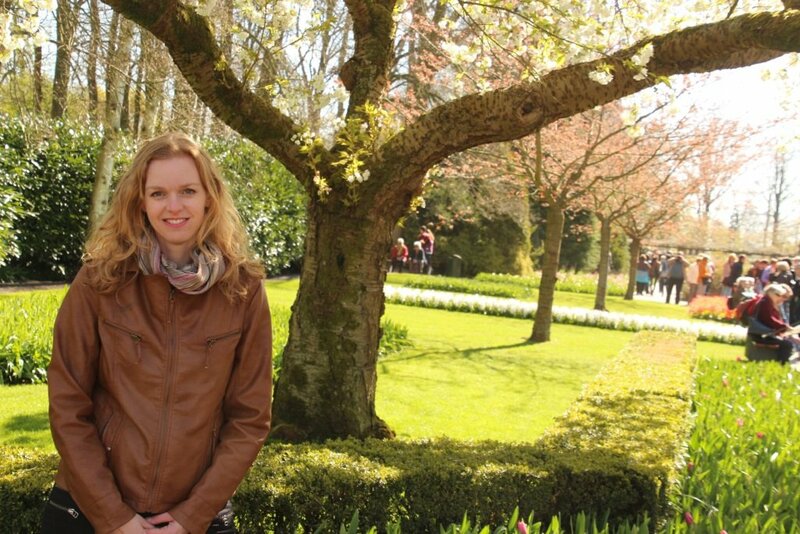 With the beautiful tulips they create each year a big garden in Keukenhof. 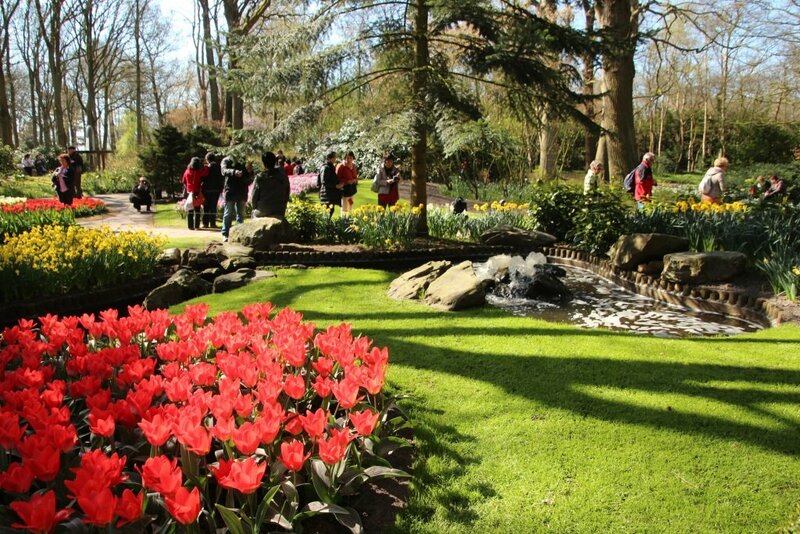 The 'Keukehof' is one of the biggest spring gardens of the world. 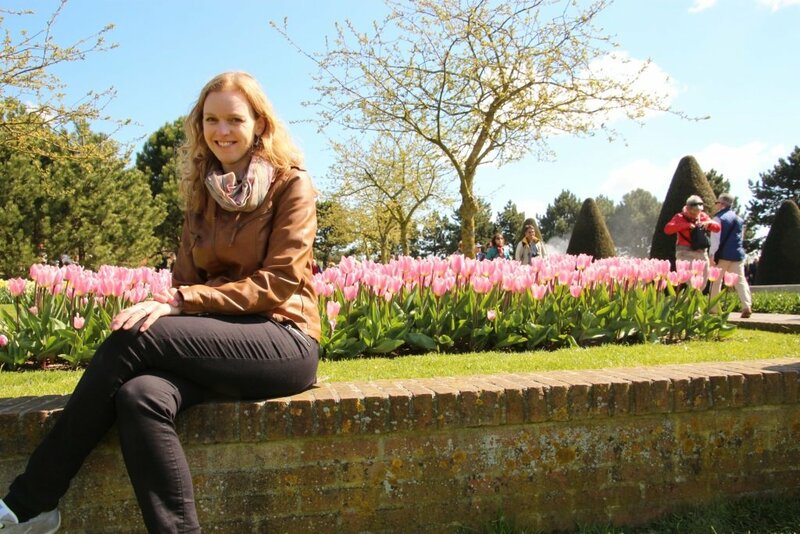 The big garden is settled in a small town called Lisse. Amsterdam would be about 40 kilometers up North. 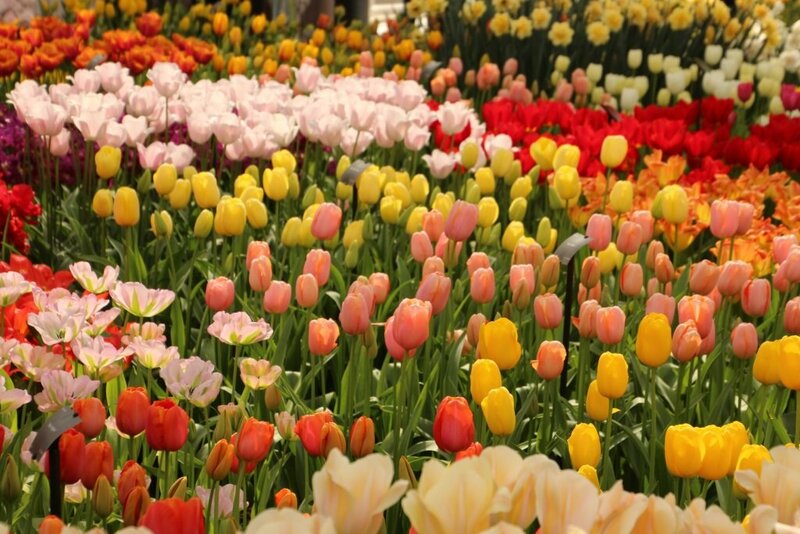 The 7 million flower bulbs are donated for free by bulb growers. 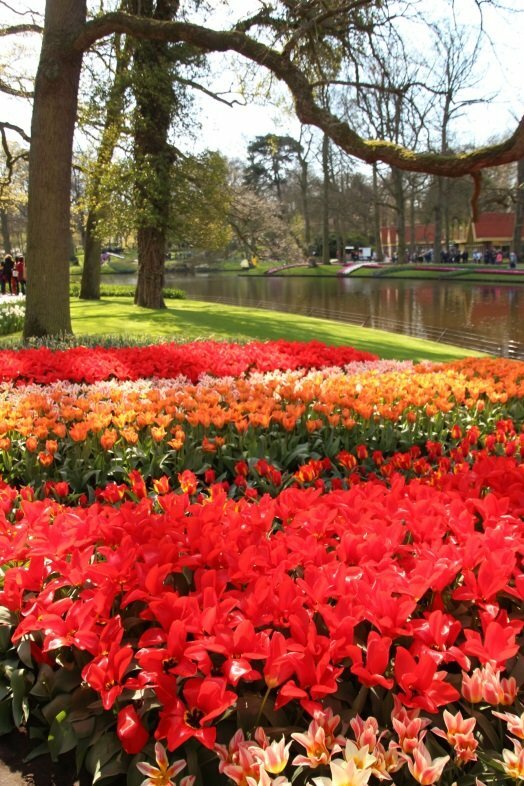 They love the fact this garden is the most colorful and lively garden of the world. 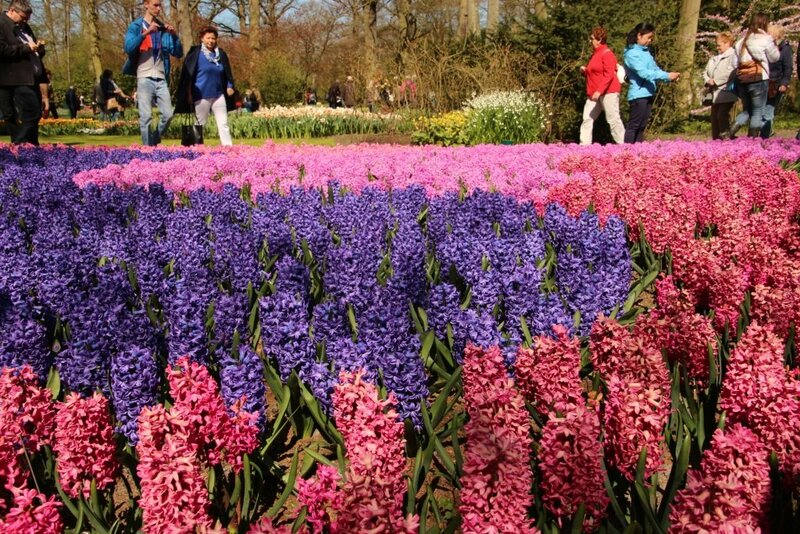 Each year before the season starts about 40 gardeners will plant the bulbs. When the season has finished they take the old bulb out and prepare the soil for the new season. In October or November they will plant new bulbs. 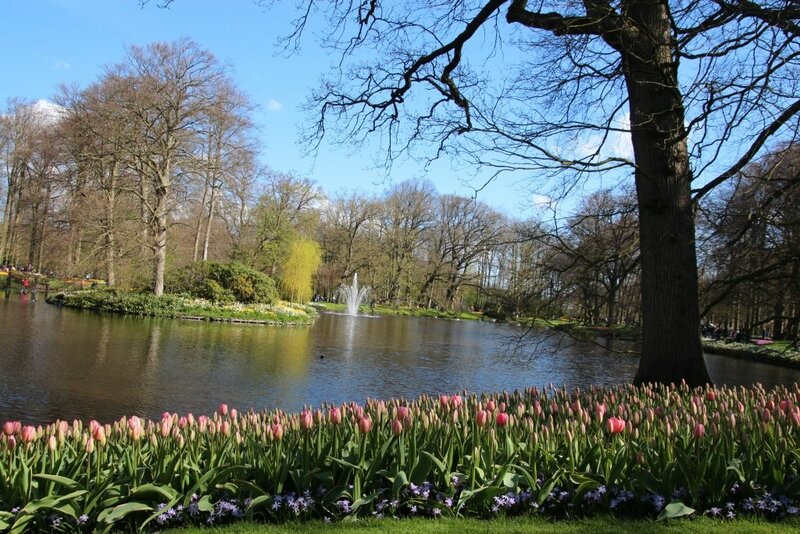 So, what is the 'Keukenhof'? This big garden has a theme every year. In this theme they create beautiful set up inspiring gardens. 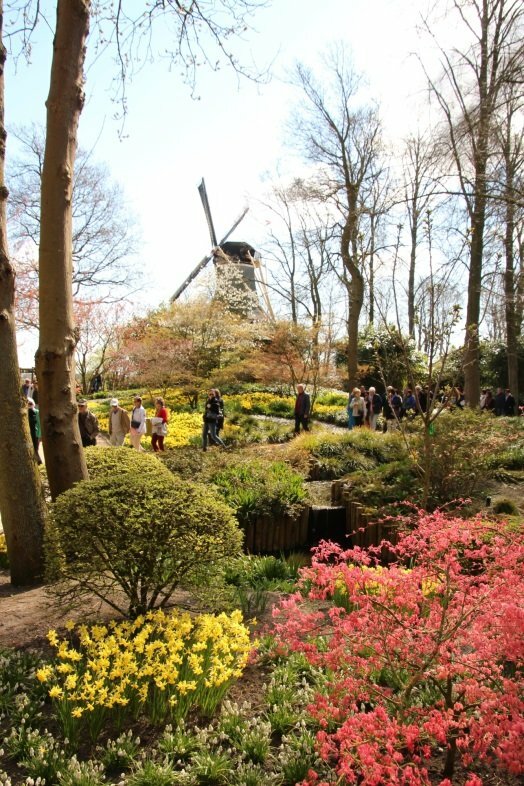 Beside this they have flower shows, with not only tulips but also flowers like orchids and hyacinths. They really make beautiful creations. Since it was a long time ago, last year I visited the park. Although it can be crowded with loads of people, I still enjoyed the scenery with the flowers. I loved to see the different colors. 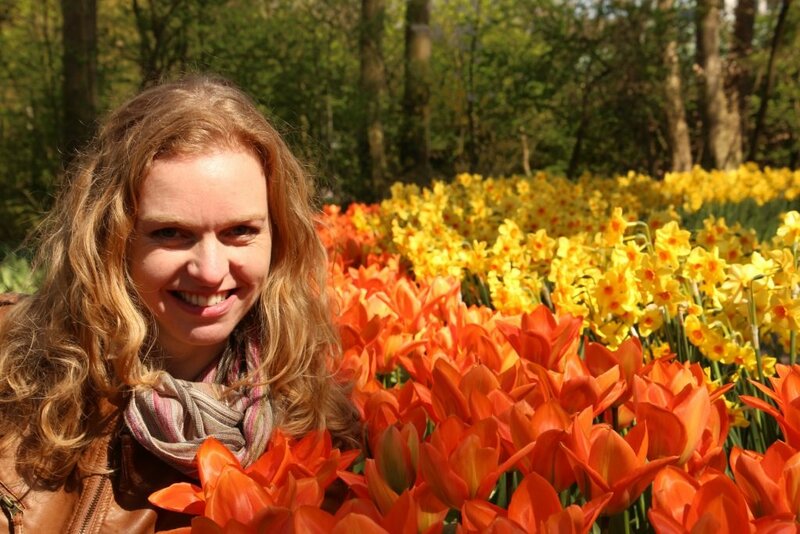 And here I found out there are many species of tulips. One even more beautiful like the other. 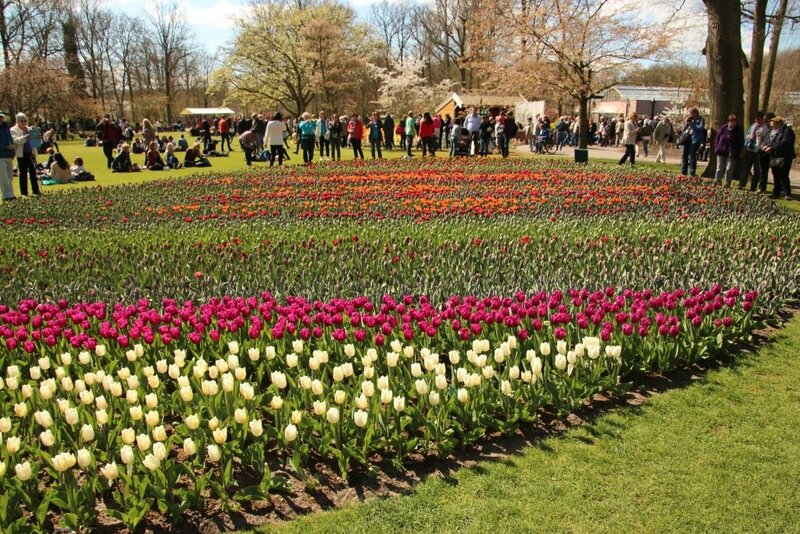 If you have enough time, try to rent a bike and go around the area of the Keukenhof to see the tulip fields. 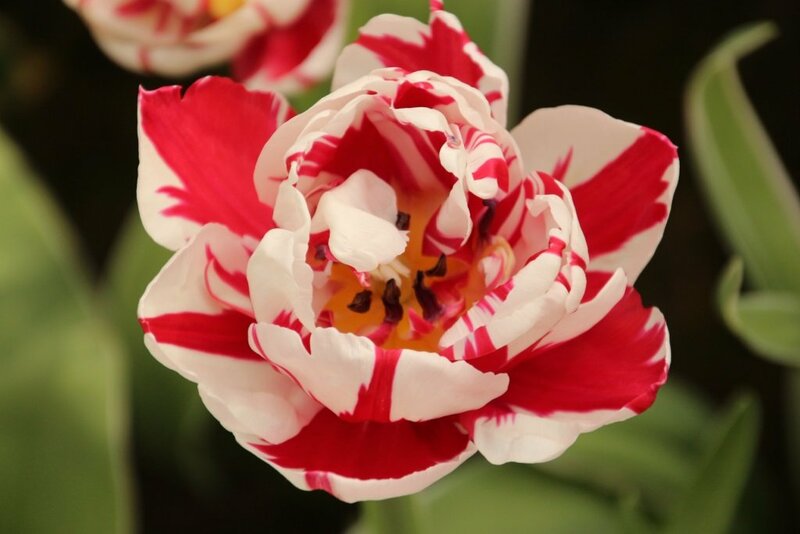 Those are amazing, with the tulips lined up in every color you can imagine! 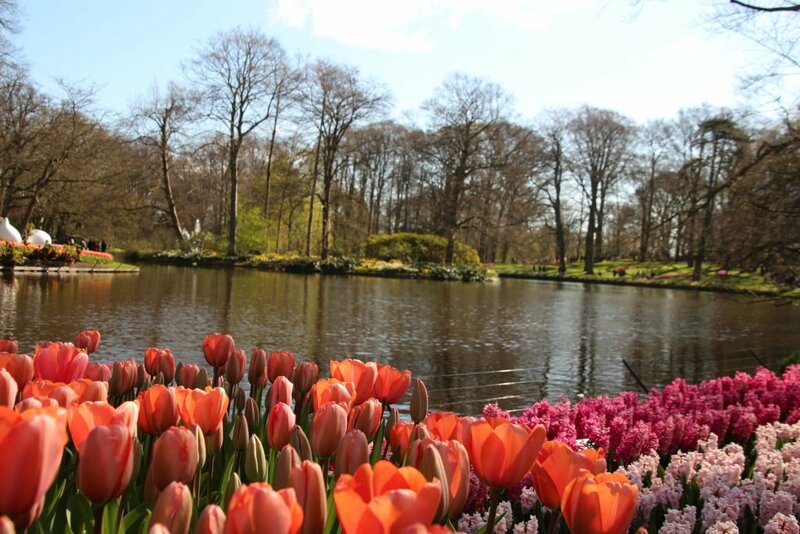 The garden will be open from the end of March till half of May. 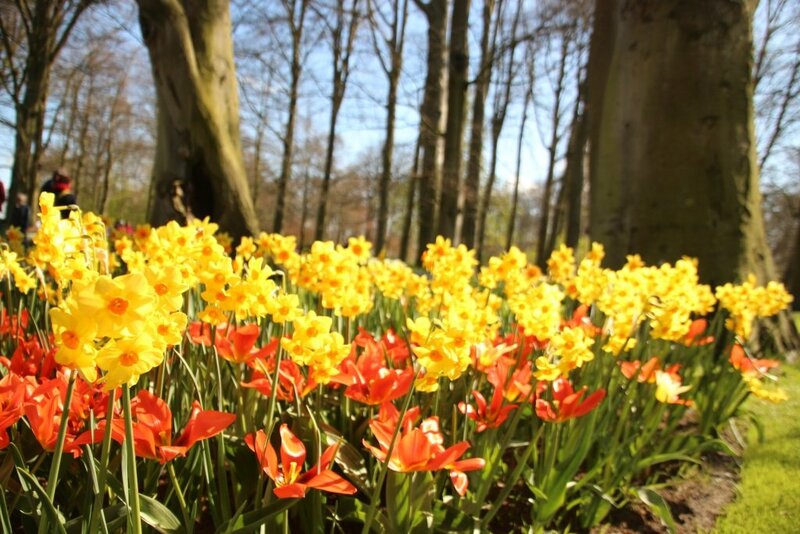 You'll have to check the dates before you go, because of the seasonal growing of the flowers times can vary. 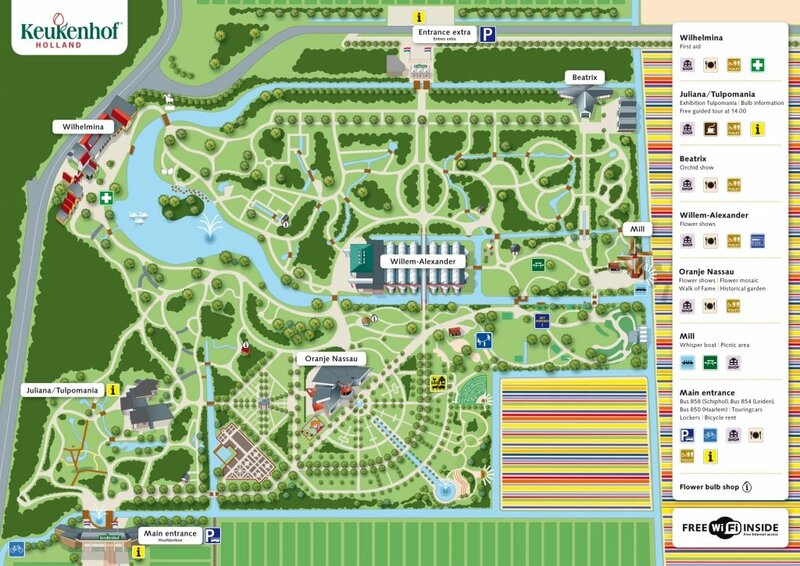 With about 1 million visitors each year you can imagine it will be busy. Try to avoid extra crowded days like Easter or Whit Sunday. The Best days to visit is during the weekdays Monday to Friday. Fewer people will have time due to work. Prices of the entree for the big park are about 16 Euros.